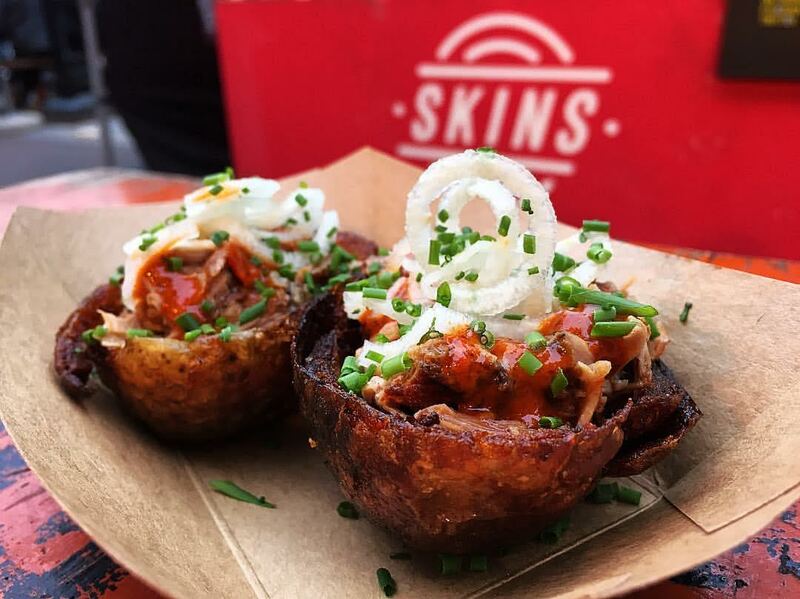 Skins, who specialise in potato skins with amazing ingredients, are talking up residency at Haunt in Stoke Newington Road, from 29th to 24th December, serving Tuesdays to Sundays. Sounds like perfect bar food! "Now boasting an open kitchen, Haunt is a first port of call for those who prefer the finer things in life, such as a fine range of draught beers, specialist cocktails and a welcoming environment. Haunt also encourages sharing between all those who attend and offers a contemporary fix of many modern world cuisines and street foods featuring fine meats, fresh seafood and sides. Founded in Summer 2015, London based potato skin pop-up Skins is all about loading up skins with the finest and freshest ingredients. They offer potatoes like you have never tasted them before with a wide range of mouthwatering fillings. Already receiving rave reviews, their addition to Haunt is yet another thing that stands this homely hangout apart from the crowd."